On February 3rd, Camden Cocktail Lounge will be hosting our Big Game Sunday Super Bowl Viewing Party – and we want you to join us. No, you don’t even have to be a football fan, but feel free to represent your favorite team with pride if you are. Doors open at noon, and with a kick-off at 3:30 pm, this is guaranteed to be a great evening watching a memorable game. If watching the Super Bowl in a sports bar doesn’t exactly appeal to you, and you have dreams of something a little more sophisticated, indulgent, and luxurious, thenCamden is the place for you. Our dynamic lounge is full of opulence and flair, making for an absolutely stunning setting that ensures that viewing party is unlike any other Super Bowl party out there. Bronze accents, charcoal velvets, and even a decadent bookcase create a sophisticated elegance – and did we mention they’re stunning backdrops for photos? But we’re just the right amount of modern, too, and our flatscreen TVs will provide you with great views of all of the action, no matter where you choose to sit. Speaking of which, our seating? It’s second to none. The spacious lounge gives you plenty of room to spread out a bit with your friends, and the seats are comfortable, luxurious, and offer plenty of options. Stake your claim to a bench seat, or maybe you want to opt for a table or even a seat at a bar. There isn’t a bad seat in the entire lounge, and no matter how long the game goes on for, you’re sure to be comfortable. Take a glance at our menu and you’ll see that Camden offers all of your favorite foods to keep you satisfied during the Super Bowl viewing party. Kick things off with an order of Signature Buffalo Tulip Wings served with blue cheese sauce and fresh cut veggies. Follow that up with our five-spice Kung Pao Chicken Meatballs. 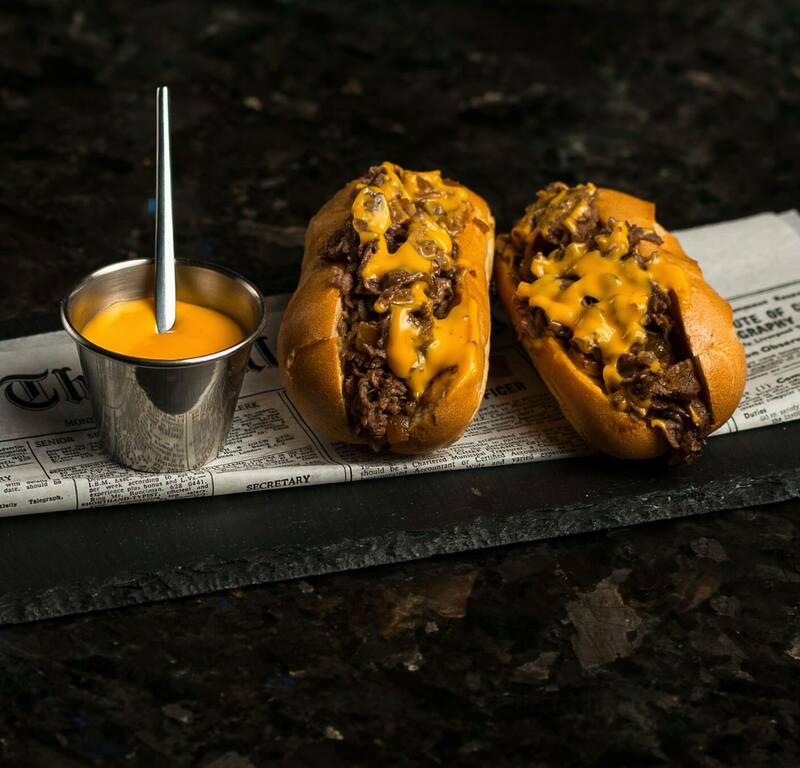 Then it’s on to our Mini Philly Cheese Steak Hero’s – served with genuine Cheez Whiz, of course. Round things off with our Mini Sirloin Sliders served with smoked cheddar, caramelized onions, and wild arugula. Looking for options that are a little lighter and a little healthier? We have something for everyone here. Our Raw Veggie Summer Rolls feature yuzu ponzu and sesame miso dipping sauce for plenty of flavor. Our Maine Lobster Rolls, served on a toasted brioche bun with butter aioli and fresh lemon are a refreshing seafood bite. Change things up with our Moroccan Lamb Cigars, served with marcona almonds, dates, and spices. Then, finish up with an order of our Mini Vegan Sliders, served with vegan cheese, caramelized onions, and wild arugula. If your team wins and it’s time to celebrate that sweet victory, our dessert menu offers a duo of delicious options. Our Blueberry Pie Wontons are served with lemon Chantilly cream and salted caramel sauce for a delectable blend of flavors. Or, go all out and get our Deep Fried Brownies, served with marshmallow dipping sauce and strawberry coulis. Not only is our upscale bar food delicious, but we offer all of your game day favorites. With dishes that are perfect for sharing, you can order an assortment of snacks for your entire party. Being a cocktail lounge, a signature cocktail is a must-have whenever you’re at Camden. Our mixologists are creative, talented artists and they will be crafting some amazing cocktails during the Super Bowl viewing party. Need some inspiration? You can’t go wrong with the Fresh & Easy, blending together Bombay Sapphire, cucumber, mint, lime juice, and elderflower. The Green Goblin is another favorite and features Cruzan Rum, lime, sugar, herb blend nitro muddled, and topped with an herb sphere. 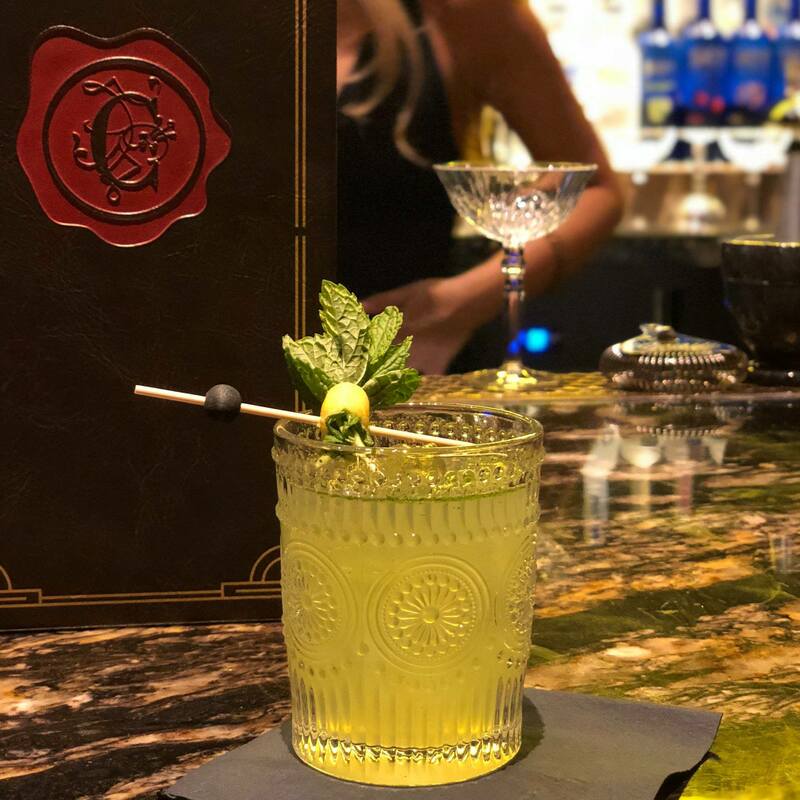 Our Fire & Ice cocktail will get you fired up for the game with its blend of Tanqueray Gin infused with jalapeno and sage, cherry juice, meyer lemon, and jalapeno cotton candy. Or, release your inner tiger with The White Tiger, a fabulous combination of Espolon, St. Germain, lemon, Islay paw print, and egg white. Whether you’re an avid football fan or just turn out for the Super Bowl commercials, Camden’s viewing party is an experience that you won’t want to miss. 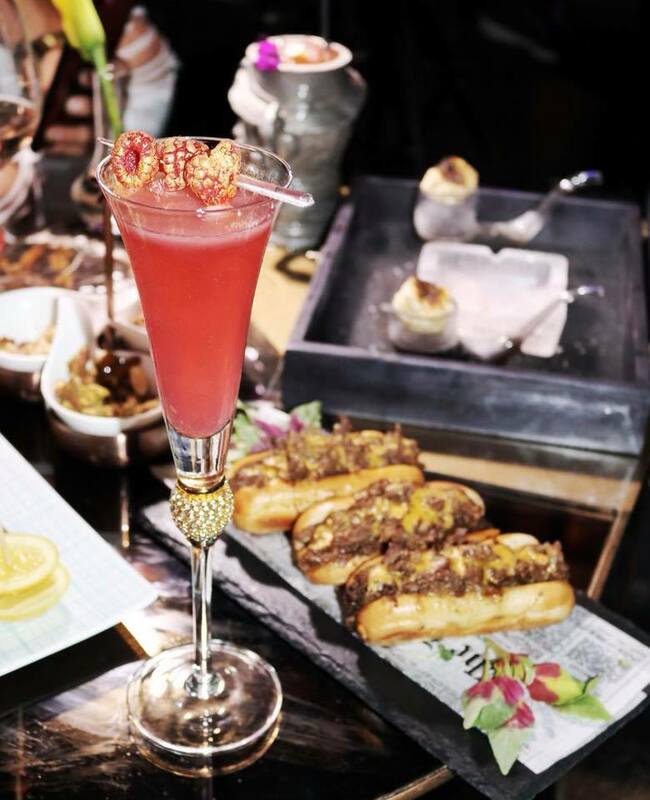 Join us, have some amazing food and cocktails, and watch the big game in an opulent atmosphere. We’ll see you on February 3rd!